A reminder about the following events next week and the availability of retirement counseling. ► REMINDER: FSU General Assembly to review FY18 FSU budget: This Wednesday, October 3rd, 1PM-2PM, University Hall, 3rd floor, Classroom 3350. 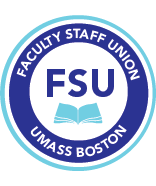 At the May 3, 2018 FSU Annual Meeting, members voted to hold an additional meeting in early Fall 2019 to review and possibly revise the FY18 budget. FSU Treasurer Ellen Frank will be present to answer questions about the budget. We have also attached 2 documents that will be discussed at the meeting: comments from Ellen Frank regarding the possibilities of a graduated dues and a simplified version of the FSU FY19 budget approved at the May FSU Annual Meeting (NOTE: FSU members should contact the FSU office for these documents). ► REMINDER: DPC/CPC training: is This Tuesday, October 2nd at 1 pm, Chancellor’s Conference room, Quinn, 3rd floor. Co-sponsored by the Office for Faculty Development and the FSU, this is designed to aid DPC and CPC chairs or their representatives to inform them of the process, and the rights and responsibilities in promotion and review. ►Retirement counseling from the MTA. Sessions are available between October and January. These sessions help members in the State Employee Retirement System (MSERS) determine the best time to retire and what to anticipate during the process, as well as provide information on retiree health insurance, Medicare and Social Security benefits for both MSERS and ORP (Optional Retirement Plan) participants. Please see here for more information and to schedule an appointment.